MUSIC TRACK REVIEW – Songs I love, and why. 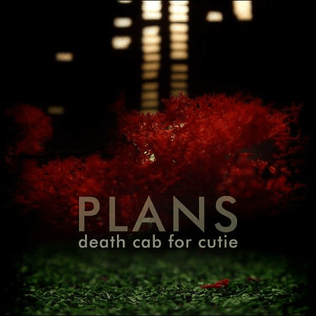 Brothers on a Hotel Bed by Death Cab for Cutie | Understanding Life, Music, Money, and Philosophy. Do you remember the vigor of your youth? Do you recall the feeling of waking up earlier and being the more excited to embrace what the day could bring you, and having far less groans about it? Has your passion for life (or for someone you used to love so powerfully) been snatched away, kidnapped by the memories you wish you could visit back into time, leaving this now dreary present to some obscure place in your past, discarded and abandoned? Why? Has regret filled your heart so much, and left no room in it to breath, to laugh, to experience a new and exciting joy? Do you not remember your first kiss, how that felt? When someone told you the first time that they loved you, or What about your first dance? What about your first embrace alone in the dark with someone you would wish that experience could forever endure? I believe it’s important to remember that this awesome love we feel, expressed as primal passion and given to someone we love doesn’t change in the least in WHAT IT IS, or WHAT IT’S CAPABLE OF, but rather it’s US that changes. We replace youthful naivety with a bitter sort of reservedness. We do this to hold back to some degree, perhaps spare our-self some theoretical future pain, but at what cost to those who deserve our full measure of love, our most raw and powerful passions? Will the person you profess to love now become numb and distant to your half-hearted advances someday, forever being cut-off to the overwhelming love and intimacy you COULD show it only it arose from the wellspring of a younger heart? Will they become as the person in this song is, expressed as being little more than a brother (sibling) in your bed, cold and distant…where the spark is truly gone?? Short of some terrible physical infirmity that prevents such a powerful love from seeking it’s absolute highest physical expressions, let it not be so! May your feet forever “break from the concrete” and may you never let a day go by that could have been spent in the arms and the smiles and ridiculous unbridled laughter of such a fiery and all-consuming embrace. This entry was posted in Music (tracks), Philosophy and tagged beautiful, brothers on a hotel bed, death cab for cutie, deep, emotional, indie rock, indie rock band, love, love and passion, music, music lyrics, music review, passion, reflection, regret, rock, rock and roll, sad, song review, thoughtful. Bookmark the permalink.